This printable, downloadable handout is intended for high school students and adults at Elementary (A1) level. It is aimed at practising in English, and can be used for developing your class' Speaking and Reading skills. 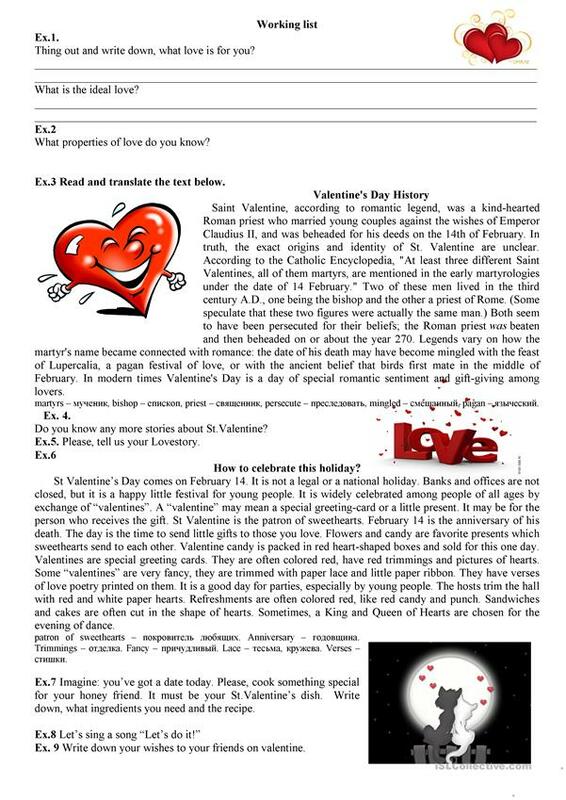 It focuses on the theme of Valentine's Day.